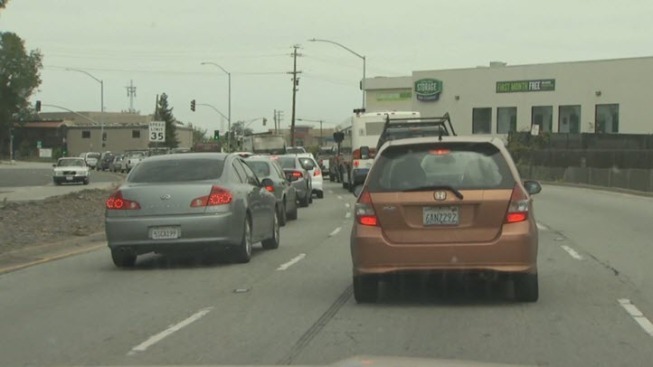 Redwood City officials said easing congestion along Highway 101 will cost millions of dollars and a massive construction project. The city is teaming up with state and local agencies on a massive project to deal with the growing population and influx of commuters. "We're taking existing traffic and estimating how that will grow over time and designing the freeway to accommodate that,"
Contractor Paul Krupka is working on a plan to reconfigure the on and off ramps at Interstate 101 and Woodside Road interchange, and expand Woodside Road below the freeway. The project comes with a $140 million price tag, and so far only $15 million has been set aside to pay for it. While experts figure out how to cover the cost, drivers are hoping for an easier commute. City officials are asking for public comment on the plan. If approved and the city finds enough funding, construction can begin in four years.